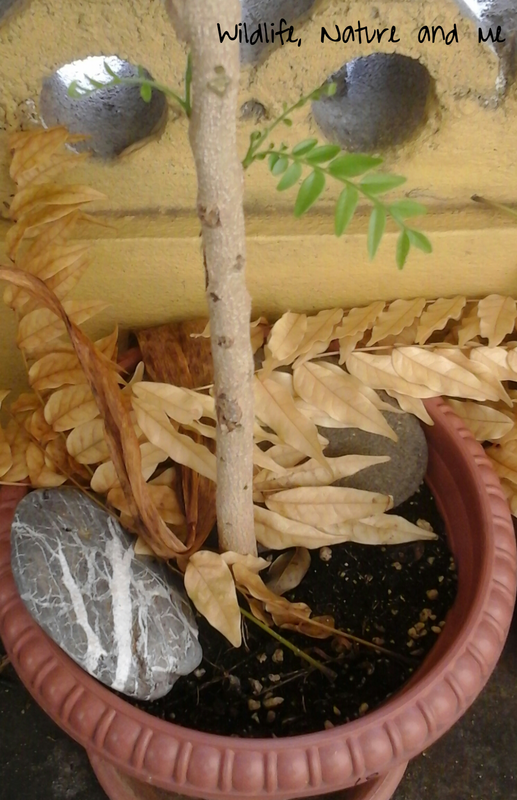 Recently I thought my Mgambo tree was dying. All the leaves just started to turn brown and fall off. But after a while I saw some new leaves coming out and that made me super happy. I pulled off the other dying leaves to give the new ones a chance.